In many ways, road managers were dealing with Big Data long before the term was ever coined. For example, besides the size of the data, one of the distinguishing features of Big Data is the amount of thought and effort that goes into collecting and organizing the data. In fact, one of the great “secrets” of Big Data is that most data scientists spend the bulk of their time dealing with data collection and organization, not data analysis. Historically, the same was true of pavement planning: a good road assessment required months or years of careful data collection and meticulous record keeping. Time that could have been spent fielding citizen complaints or analyzing the road network was instead spent in a car debating if a bit of centerline cracking was sufficient to knock the segment rating down a notch. Many road managers simply don’t have that sort of time. In these cases, pavement planning (and the millions of dollars that were spent on the basis of pavement plans) had to be done based on information that was often out of date. 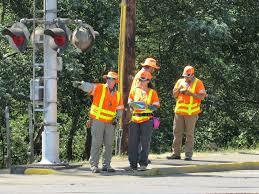 When it came to road assessments, road managers were in a lose-lose situation. RoadBotics was founded to solve this problem. Our team of data collection specialists can record a full road assessment in as little as a few days. We then run the recorded video through a deep learning model, which classifies each 10-foot stretch automatically. The ratings are then posted to our RoadWay platform, which is great for quick analyses of the assessment. We also share the “raw”, GIS-compatible data with the user. 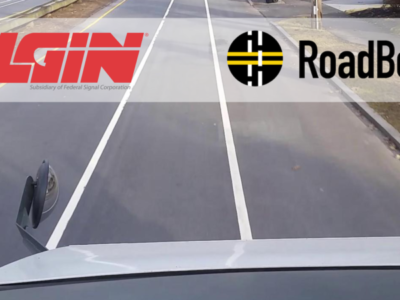 By taking care of data collection and organization, RoadBotics frees up road managers to focus on, well, road management. Whenever we talk to customers they invariably mention the time that they’ve saved by not doing the assessment themselves. However, there are other, more subtle time savings that accrue from a RoadBotics assessment. Stacey Graf, PE (Bethel Park, PA) says that, “RoadBotics gives us a better overall road program by helping to target our efforts – we now fix the right roads at the right time. This means major saving on staff time.” Better preventative maintenance means fewer potholes. Fewer potholes means fewer citizen complaints. That’s a win-win situation.